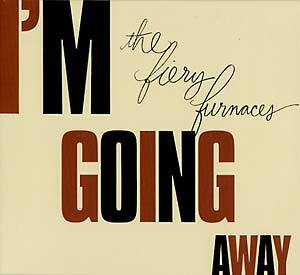 "I'm Going Away is The Fiery Furnaces' eighth album. It was recorded by and mixed with Jason Loewenstein at the end of 2008 and the beginning of 2009 in New York City. Jason also played bass and Robert D'Amico played drums. All songs were written together by Eleanor and Matthew Friedberger, except for the title track, which is 'trad. Arranged by.' Eleanor wrote most of the lyrics; Matt wrote most of the music and also produced the album. All rock music is a sort of dramatic music. And since the times are tough, it makes sense to have that 'drama' be something more like a version of Taxi than something like a version of Titanic. We like Taxi better than Titanic anyway. 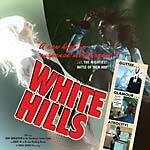 So we hope that some of the songs on this record can be used as theme songs to folks' own personal versions of Taxi. Because -- ideally -- the dramatic setting of the music isn't provided by the story or image of the given act or band. It's provided by the lives of the people who use -- listen to -- the music. That is pop music's promise and problem, or danger. So be careful and don't get cancelled."